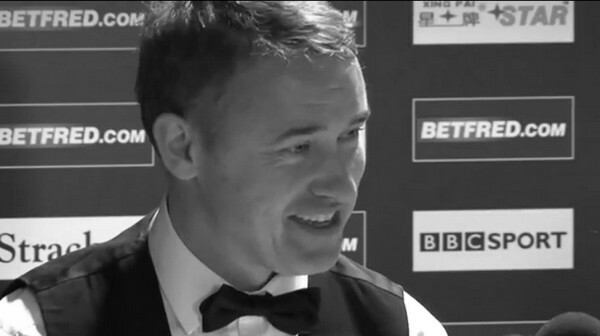 Stephen Hendry made the announcement of retiring from the game at the press conference of his quarter-finals defeat. He lost to Stephen Maguire by 2-13. His decision shocked everybody. The seven-time World Champion has beaten Stuart Bingham and the Defending Champion John Higgins to reach the quarter-finals. I believe Hendry had not regret as he made his eleventh maximum break in the first round, to level off Ronnie O'Sullivan's record of making the most 147s. Hendry said in his press conference: "I made the decision about three months ago, I didn't tell many people, I only told two or three people but this is me finished in tournament snooker. It was quite an easy decision, there's a few reasons which I'm not going to go into in detail and bore you with. The schedule didn't help, the fact that I'm not playing the snooker I want to play doesn't help, the fact I don't enjoy practice doesn't help. I've got other things I want to do, I've got a lot of commitments now in China which I've signed up for and I can't do both, I can't do that and play snooker, because I would never be at home, so the time is right for me. "If I'd have won this event, it would have been an even better way to go out. I'm delighted that I've made a maximum here, that's why I was more animated than normal when making it, I was delighted to do it on my last appearance here. It wasn't a spur of the moment thing, I thought about it last year, but 2 or 3 months ago I decided enough was enough. After dropping out of the Top 16 this season, Hendry seemed to play better snooker compared to the previous season. Making a maximum at the Crucible, his last tournament to be played in the professional circuit is the best ending of his career. Although Hendry had not won a full ranking title since 2005 Malta Cup, he had archived more than everybody had won so far in the game. Being one of the greatest player ever in the sport, I wish Hendry all the best in the future. Thank you for all your brilliant matches and magic moments that brought to us in these 26 years.